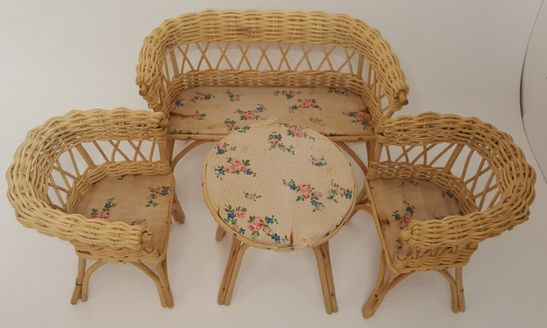 This is a very lovely larger scale 4 piece wicker set with vintage fabric on the seats and table top. 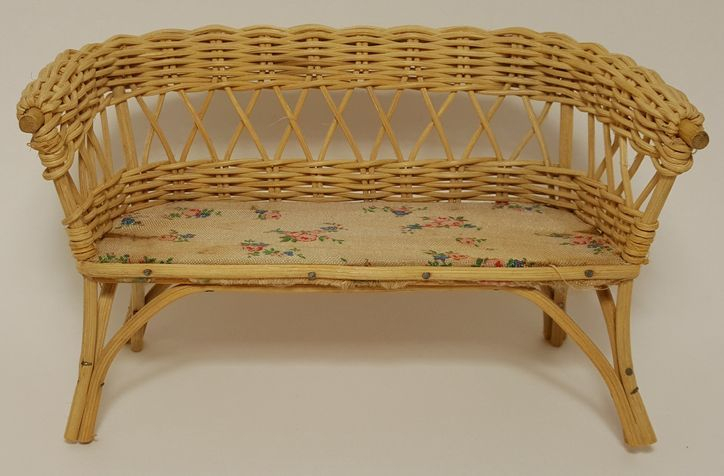 The settee is 7 1/4" wide and 4 1/4" tall at the back. 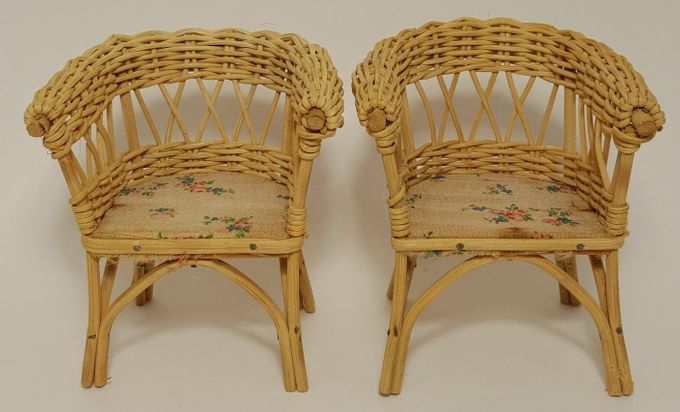 The chairs are 3 3/4" wide and 4 1/4" tall at the back. 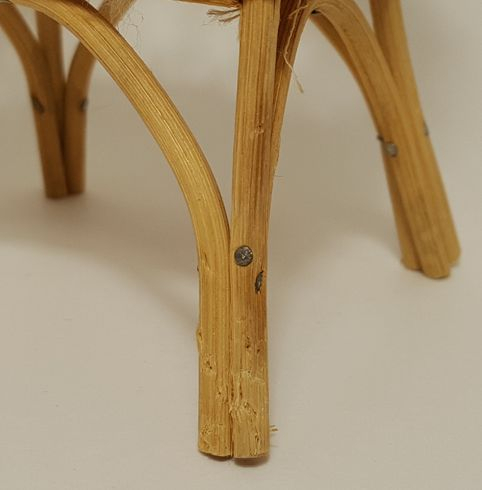 The table is 3 1/4" cross the top of the table and 3 3/4" tall. 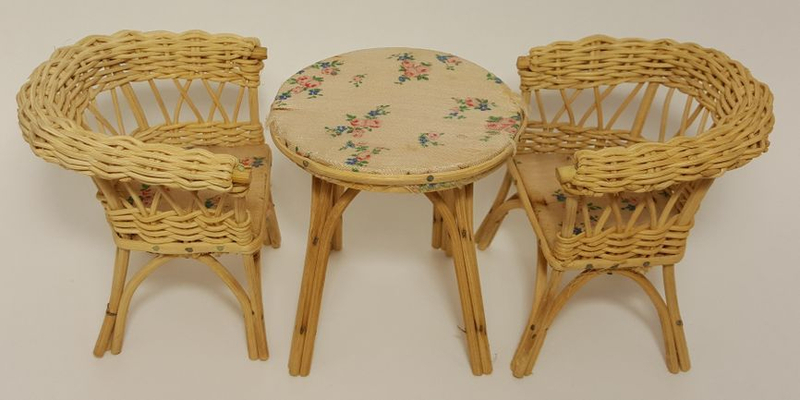 This set is in very good condition with a little rust on the fabric from the nails and a ruff spot on one of the chair legs. Copyright © 2013 Design, functionality and content - LittleThingsLoved design. All rights reserved. Do not copy without written permission.